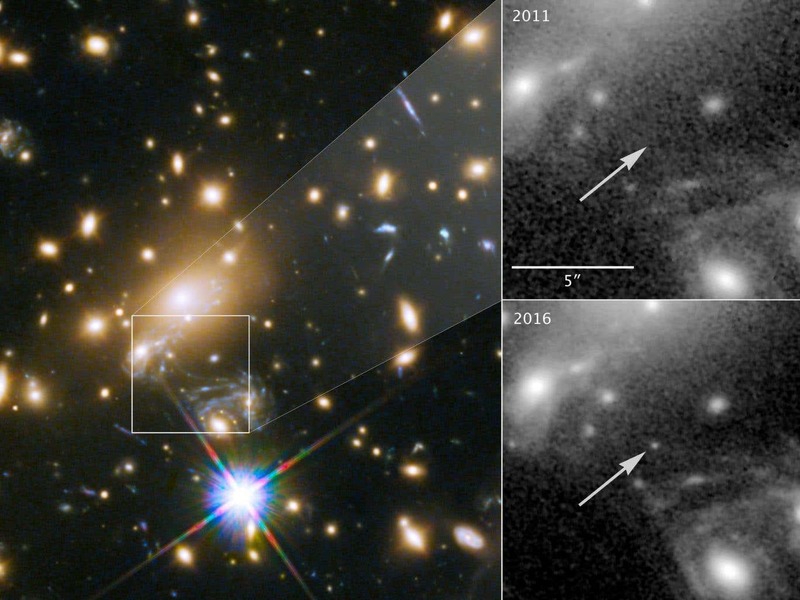 Astronomers have identified a star 9 billion light years from Earth – the farthest individual star ever seen. At a distance of roughly 9 billion light-years from Earth, the star appears to us as it did when the Universe was just 4.4 billion years old. In April of 2016, the star temporarily brightened to 2,000 times its normal luminosity thanks to the gravitational amplification of a star in MACS J1149+2223.